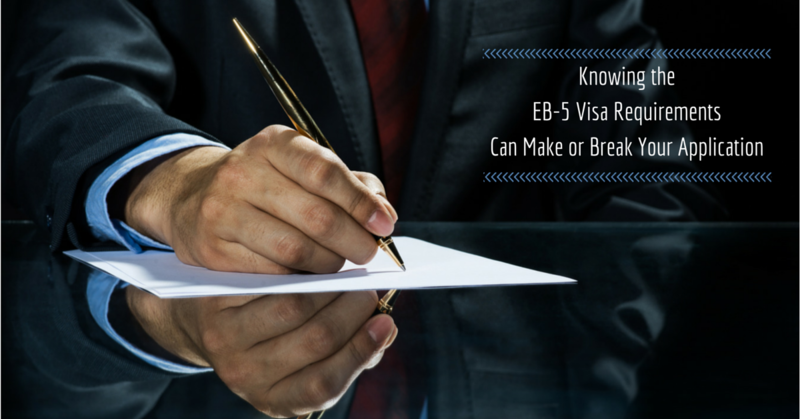 According to the US securities law, you are required to share your personal as well as financial information to find out whether you are suitable to apply for an EB5 visa. The authorities will also determine the sources of your money to make sure that it was obtained lawfully. You have to provide the authorities with the evidence of income, such as inheritance and salary, and be confirmed as an ‘accredited’ investor. An EB5 USA visa consultant can also introduce you to law firms which can help you with this. In the starting, one needs to do an investment of $1,000,000. After that another investment possibility was added including regional centers that could start investment projects, permitting applicants to invest an amount of $500,000, provided that the money was directed to the less developed areas of the US. The consultant will share a list of required documents and information that you have to submit while filing a visa petition, for example, tax returns, birth certificate, proof of income source for the money you want to invest, etc. Nevertheless, you need to remember that this process requires an extensive documentation, and collecting all the related information might take a couple of days, sometimes months. You need to wait for about 8–18 months in the queue. Once it is accepted, the applicant is informed and will have to go through a visa interview. If the interview results are positive, the applicant turns into a green card holder. After two years of this approval, the applicant has to show the job creation under the requirements of the EB5 visa program. The final step in this process is for the applicants to become unconditional permanent residents by confiscating their two-year conditional status.